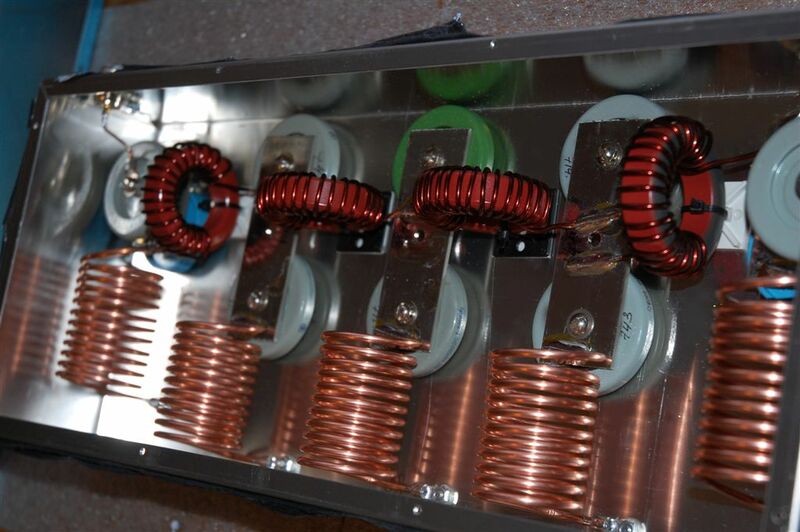 Please, see 80M BPF built with large toroids as a coupling inductors in a smaller enclosure. Now, I build all 80M BPFs with T200-2 toroids as coupling coils. 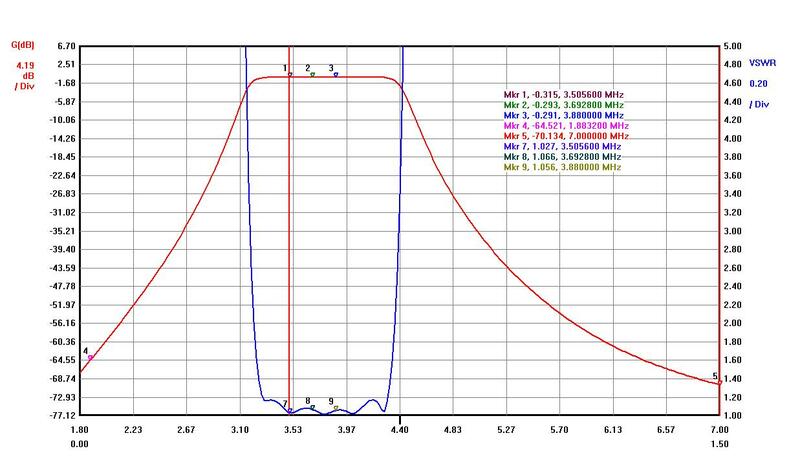 Unfortunately, Ameritron coils sold by MFJ are not available all the time and those coils are too fragile. 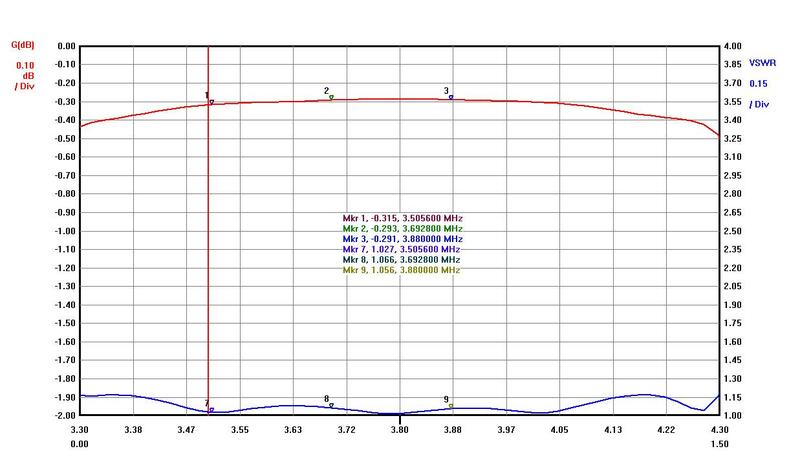 Those three coils shown on a photo below are under the most current stress. Three cooling fans installed on the rear side of the enclosure to provide a direct air flow to those coils. With a small 60mm fans it is the most efficient way to cool off coils and keep coils cooled with any power level. 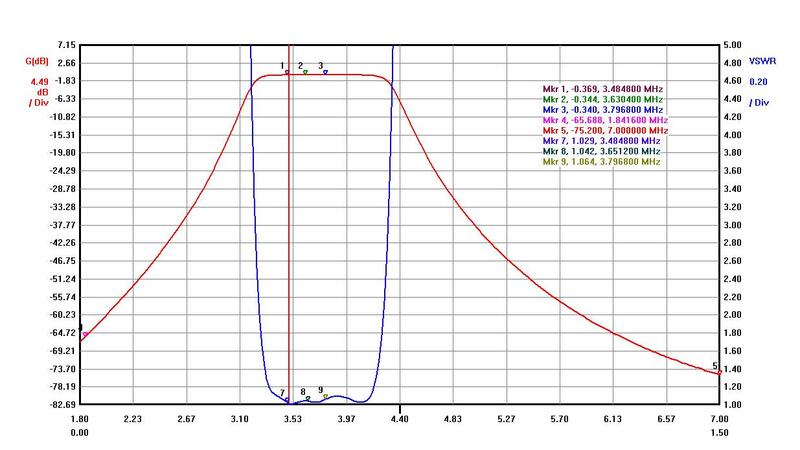 The graph below shows 80M band filter SWR and Isolation for 160 and 40 meter bands..
Graph below is In-Band SWR and Insertion Loss. 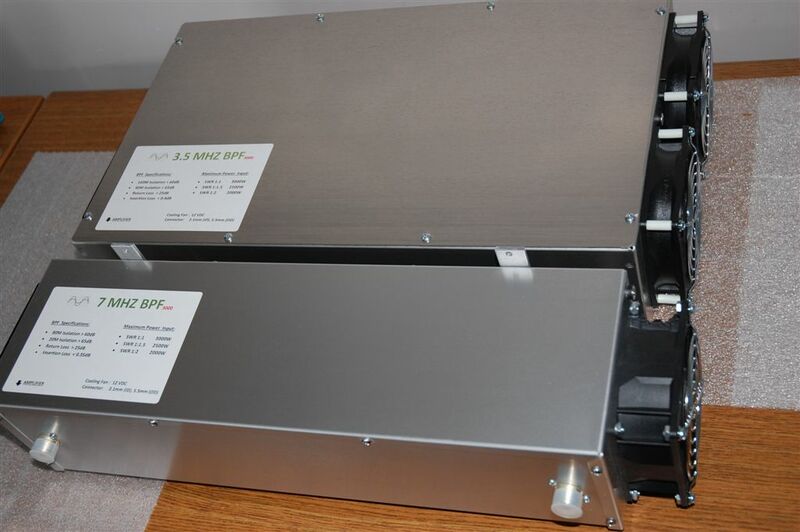 For 80M BPF with MFJ coils I used a twice wider enclosure to fit in all large coils. Two 50 CFM fans installed to get a sufficient air flow to the larger box. Doorknob capacitors allow to use it up to 6000 PEP output power but I’ve never tested it with this power. 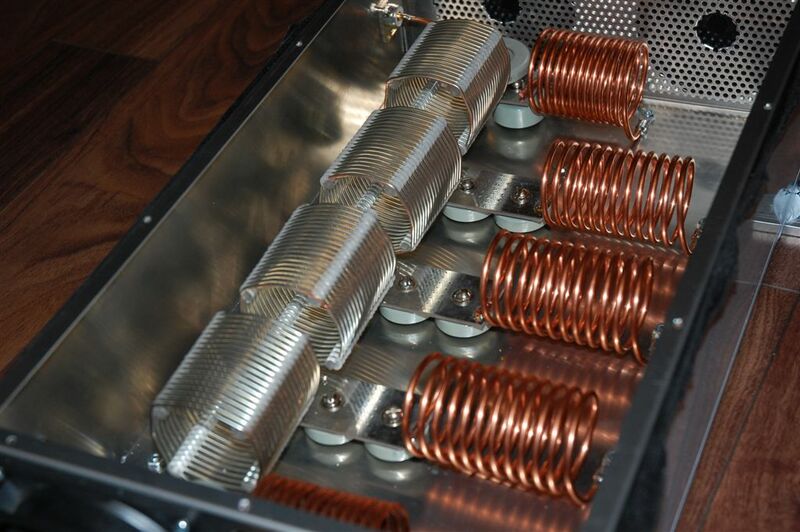 For this output power some coils should be made with a larger wire diameter.